Abstract: Online examination can be referred to as a means of taking examinations in a digital form, either through a secured or an unsecured network. In this paper we propose an online examination system capable of returning answer corrections as feedbacks to its end users/ candidates. The proposed system is to allow students take examinations from home at their own comforts and time, but must be during the institution’s end or mid semester examination period. The proposed system is to allow the creation of course, which comes with the creation of examinations and its components, and does not allow the retaking of examination after the semester’s examination season. The proposed system is designed to work with “time countdown” during the examination and return the students marks and corrections of wrongly answered questions upon the completion of the examination. The time countdown auto-starts and auto-disables the take examination page when the examination duration elapses. Keywords: online examination; yii framework; traditional examination; e-learning; php interpreter; apache server. 1. Ayesha, A., Mustafa, T., and Khan, M. I., 2010. Data Mining Model for Higher Education System. European Journal of Scientific Research, 1 (43), pp.24-29. 2. Burbaite, R., and Stuikys, V., 2010. Analysis of learning object research using feature-based models. Kaunas University of Technology, Software Engineering Department Students 50, pp.201-214. 3. Castella-Roca, J., Herrera-Joancomarti, J., and Dorca-Josa, A., 2006. A Secure E-Exam Management System. IEEE: Proceedings of the First International Conference on Availability, Reliability and Security, pp.1-8. 4. Ivy, B.P.U., Shalini, A., and Yamuna, A., 2012. WebBased online Secured Exam. International Journal of Engineering Research and Applications (IJERA), 1 (2), pp. 943-944. 5. Kaburu, K., 2008. Technology in Educational Assessment. Online Examination System as a Solution to Examination Challenges and Irregularities at University Level’, Kellen Training, pp.1-4. 6. Kumar, P., Nirwan, P, and Raj, P.G., 2010. National Online Examination System: An Architectural Perspective. CDAC: Proceedings of ASCNT, pp.101-114. 7. Li, X., and Wu, Y., 2007. Design and Development of the Online Examination and Evaluation System Based on B/S Structure. Ieee: Computer Society, pp.6223-6225. 8. Lu, H., and Hu, Y., 2012. 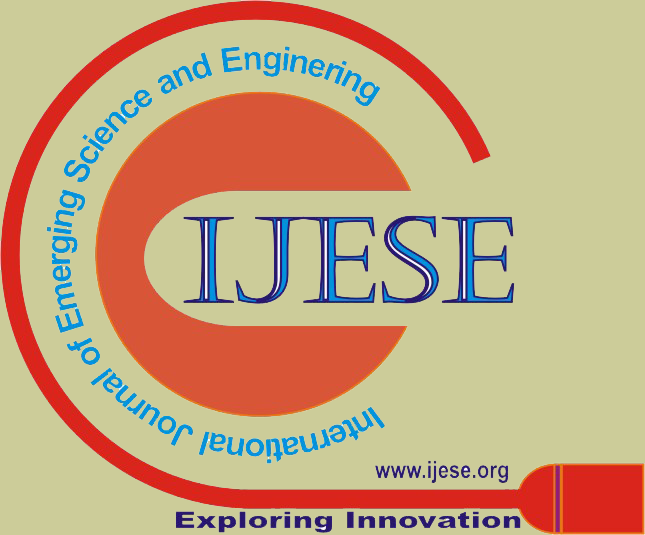 The Design and Implementation of Online Examination System Based on J2EE, Ieee Computer Society: 2012 International Conference on Industrial Control and Electronics Engineering. pp.93-95. 9. Merceron, A., Yacef, K., 2005. Educational Data Mining: a Case Study. Proceedings of the 12th International Conference on Artificial Intelligence in Education AIED, IOS Press, pp.20-26. 10. Oxford Dictionary, 2010. The definition of Education. 8th edition. New York: Oxford University Press. 11. Oxford Dictionary, 2010. The definition of Internet. 8th edition. New York: Oxford University Press. 13. Rout, G., and Patnaik, S., 2011. A Case Study on E-Examination in Universities of Odisha. International Journal of Internet Computing (IJIC), 2(1), pp.12-20. 14. Siyao, L., and Qianrang, G., 2011. The Research on Anti-Cheating Strategy of Online Examination System. Ieee Computer Society, pp.1738-1741. 15. Trivedi, A., 2010. A Relevant Online Examination System. Ieee Computer Society, pp.32-35. 16. Vernooy-Gerritsen, M., 2006. The CITO Examination System. International Association for Educational Assessment, pp.1-9. 17. Wei, L., Cong, Z., and Zhiwei, Y., 2012. Fingerprint Based Identity Authentication for Online Examination System. Ieee Computer Society: 2010 Second International Workshop on Education Technology and Computer Science, pp.307-310. 18. Winsett, J., 2010. Agile web application development with Yii 1.1 and PHP 5.1. Birmingham-UK: Packt publishing. 19. Xue, Q., 2008. Building a blog system using Yii. BSD licence: Yii Software LLC. 20. Xue, Q., and Zhuo, X.W., 2008. The Definitive Guide to Yii 1.1. BSD License: Yii Software LLC. Abstract: Corrosion is the deterioration or destruction of material by chemical or electro chemical reaction with its environment. The effect of the effluent dilute Hydrochloric acid on self compact concrete was cured using concrete with water-binder ratio 0.5, of after making there to shape of cubes. Silica fume content was 7.5% by weight of cement & fly ash content 17.5% by weight of cement. High range water reducing agent (HRWRA) was to ensure the better workability. For each mix sample, the effect of the variable parameters like pH value of the acid & its concentration, time of exposure, were studied. Also the effects of sea water & air on these mixes were studied. In this study the concrete cubes were exposed to hydrochloric acid (HCl) of different concentrations like (25 ppm, 50 ppm, and 100ppm), seawater, open air and pure water. The amount of acid consumed by concrete per unit surface area, variation of concrete strength and weight with time for different concentrations of hydrochloric acid was summarized. The tests revealed that self compacting concrete (SCC) cubes consumed acid, in all concentrations for 90 days, in increasing order with increase in concentration of acid, The rate of consumption of acid is higher initially and then decreases gradually with age. With 25 ppm concentration of hydrochloric acid in contact , the concrete cubes shows a slight gain in weight as well as strength where as, in all remaining concentrations Hydrochloric acid, the weight and the strength followed a decreasing trend with increase in concentration of Hydrochloric acid studied. The consumption of acid on concrete cubes increased with increase in time. The percentage decrease in strength increased with increase in the hydrochloric acid concentration. The use of both silica fume, fly ash resulted in drastic reduction in chloride permeability at all the ages. Keywords: Compressive strength, silica fume, durability, fly ash, corrosion, and self compacting concrete. 1. Corrosion of metal in concrete, ACI Committee 222, American concrete institute, Farmington Hills, 1989. 3. Matta, z.g Chlorides and corrosion in the Arabian Gulf environment, Concrete International,, May 1992, Vol 14, No 5, pp 47-48. 4. Hajimc Okamura, Self Compacting high performance concrete, Concrete International, March 1997, pp 56-59. 5. Gjory O.E. and Vessenland Effect of condensed Silica fume on steel corrosion in concrete, ACI Materials Journal, No 6, Vol 27, 1997. 6. Samir Surlaker Self compacting concrete, ICJ Journal, January- March 2002. 7. ACI Committee 2001, Guide to durable concrete, ACI Materials Journal, Sep-Oct 1991. 8. Al – Amoundi, Mohammed Maslehuddin and Mohammed M. Saadi, Effect of magnesium sulphate and sodium sulphate on the durability performance of plain and blended cement, ACI materials Journal, No.1, Vol.92, Jan – Feb 1995, pp15-24. 9. Al. Amondi, Influence of chloride ions on sulphate deterioration in plain and blended cements”, ACI Materials Journal, No.167, Vol.46, June 1994. 10. Appa Rao G, Raghu Prasad B.K., Fracture energy and softening behavior of high strength concrete, Cement and concrete Research, Vol 32, pp 247 – 25,2002. 11. Bache H.H, Densified cements, Ultra-Fine Particle Based Materials, Paper presented at 2nd International conference on Superplasticizers in concrete, Ottawa, Canada,1982. 12. Biczock, Concrete corrosion-concrete protection, 8th edition, Academia Kaido Budapest, 1972, pp 545. 13. Lawrence C.D., Sulphate Attack on concrete, Magazine of Concrete Research, No.153, Dec 1991. 14. Celik Ozyildurim, Laboratory Investigation of Low Permeability Concrete Containing Slag and Silica Fume, ACI Materials Journals No.2, Vol.91, March-April,1994. 15. Detwelin, Fap Dhenda and Natala, Use of supplementary cementing materials to Increase the Resistance to Chloride Ion Penetration of Concrete Cured at Elevated Temperatures, ACI Materials Journal, No.2, Vol.91,Jan-Feb 1994. 16. Dieb and Hooton Water permeability measurement of high performance concrete using a high pressure triaxial test, Cement and Concrete Research, No:6, Vol.25, 1995. 17. Shaker .F.A , A.S.El-Deib, and M.M.Reda, Durability of styrene-butadiene latex modified concrete, No.5, Vol.27, 1997, pp 711-720. 18. Zha .F.P , B.I.G. Barr, F.D Lydon, Fracture properties of high strength concrete with varying silica fume content and aggregates, Cement and Concrete Research, Vol 25,1995,pp 543-552. 19. Ferraris. F.Chiara, Brower Lynn, Celikozy ildirim, Daczko Joseph, Workability of Self compacting concrete, PCI International symposium on HPC, Sept 25-27, 2000. 20. Giaccio. G, C.Rocco, R. Zerbino The fracture energy of high strength confutes, Materials Structures, Vol 26, 1993, pp 381-386. 21. G.Vander Wegen, Behaviour of concrete affected by seawater under high pressure, Material and Structures, No.163, Vol.26, November 1993. 22. Glenn Willian Depy, Freeze thaw and acid resistance of polymer impregnated concrete, Durability of Concrete, ACI Special Publication, Vol 47, 1975. 23. Hajimc Okamura, Self Compacting high performance concrete, Concrete International, March 1997, pp 56-59. 24. Hinduy, Drying Shrinkage of Ready – Mixed High Performance Concrete, ACI Materials Journal, No.3, Vol.91, May-June 1999. 25. Huseyin Sarisinem, Mohd.Maslehuddin, Abdulhamid, J. AL-Tayyib and Abdulaziz, I Al-Mana, Permeability and Durability of Plain and blended cement concretes cured in field and laboratory conditions, ACI Materials Journal, No.2,Vol.92, Mar-April-1995. Abstract: Source IP address is used to hide the locations of the hackers, spoofed. To identify the true spot of the spoofers Development of IP traces back mechanisms are used. Because of no common IP Trace back mechanism was adopted, Exact spoofers location was not identified till now. We implement Passive IP Traceback (PIT) mechanism to overcome the difficulties of the earlier techniques. Path backscatter messages (ICMP messages) generated by intermediate devices in the network and traceback the spoofers using topology get detected by PIT. To identify the locations of the spoofers, we apply Pit on path backscatter data set. The geographical location details of routing device near to IP spoofers are found, by employing the TTL field in IP packets. Keywords: PIT (Passive IP Trackback), Computer Network Management, Computer Network Security, Denial of Service (DoS), IP traceback. 2. S. M. Bellovin, “Security problems in the tcp/ip protocol suite,” SIGCOMM Comput. Commun. Rev., vol. 19, no. 2, pp. 32–48, Apr. 1989. 3. SSAC, “Distributed denial of service (ddos) attacks,” SSAC AdvisorySAC008, Mar. 2006. 4. C. Labovitz, “Bots, DDoS and Ground Truth,” A presentation on NANOG 50th, Oct. 2010. 5. “The UCSD Network Telescope,” http://www.caida.org/projects/ network telescope/. 6. S. Savage, D. Wetherall, A. Karlin, and T. Anderson, “Practical network support for ip traceback,” in Proceedings of the Conference on Applications, Technologies, Architectures, and Protocols for Computer Communication, ser. SIGCOMM ’00. New York, NY, USA: ACM, 2000, pp. 295–306. 7. S. B. et al, “ICMP Traceback messages,” draft-ietf-itrace-04.txt, Internet Engineering Task Force, Feb. 2003. 10. M. T. Goodrich, “Efficient packet marking for large-scale ip traceback,” in Proceedings of the 9th ACM Conference on Computer and Communications Security, ser. CCS ’02. New York, NY, USA: ACM, 2002, pp. 117–126. 11. D. X. Song and A. Perrig, “Advanced and authenticated marking schemes for ip traceback,” in INFOCOM 2001. Twentieth Annual Joint Conference of the IEEE Computer and Communications Societies. Proceedings. IEEE, vol. 2, 2001, pp. 878–886 vol.2. 12. Yaar, A. Perrig, and D. Song, “Fit: fast internet traceback,” in INFOCOM 2005. 24th Annual Joint Conference of the IEEE Computer and Communications Societies. Proceedings IEEE, vol. 2, March 2005, pp. 1395–1406 vol. 2. 13. J. Liu, Z.-J. Lee, and Y.-C. Chung, “Dynamic probabilistic packet marking for efficient ip traceback,” Computer Networks, vol. 51, no. 3, pp. 866 – 882, 2007. 14. K. Park and H. Lee, “On the effectiveness of probabilistic packet marking for ip traceback under denial of service attack,” in INFOCOM 2001. Twentieth Annual Joint Conference of the IEEE Computer and Communications Societies. Proceedings. IEEE, vol. 1, 2001, pp. 338– 347 vol.1. 15. M. Adler, “Trade-offs in probabilistic packet marking for ip traceback,” J. ACM, vol. 52, no. 2, pp. 217–244, Mar. 2005. 16. Belenky and N. Ansari, “Ip traceback with deterministic packet marking,” IEEE Communications Letters, vol. 7, no. 4, pp. 162–164, 2003. Abstract: Cloud computing, the imminent need of computing as a finest utility, has the latent to take a leap in the It industry, is structured as put to optimal use with regard to the current tendency .We consider hosting and communication sorts as criteria service bursting of Service Based in hybrid clouds. We have a NP-hard problem related to the bursting of a service application to be deployed in hybrid clouds. 1. B.Rimal,E.Choi and I.Lumb,” A toxonomy and survey of cloud computing systems,” in International Joint Conference on INC,IMS and IDC,2009. 2. X. Zhang, X.chen,Y.Zhang,Y.Wu, W. Yao,G. Huagng and Q.Lin”Runtime model based management of diverse cloud resources” in MoDELS’13,2013,pp.572-588. 3. J.Marino and M. Rowley, understanding SCA (Service Component Architecture) 1st edition-wesely professional,2009. 4. An Proficent Algorithm foot the Abounding of Service-Based uses in hybrid cloud-International Journal of Advanced Research in computer science and software engineering. Abstract: This paper describes to build and demonstrate an RF based Attendant Calling System with HT12E Encoder, HT12D Decoder and 434 MHz RF transmitter and RF Receiver modules which can be used to request instantaneous services where calling to attendant is required like home, offices, universities, restaurants, hospitals, aviation industry, aged care centers and so on. This Attendant Calling System can be used for a place without any line of sight (LOS) around the area. The main objective of this work is to build the transmitter and receiver circuit with less components and to create multiple channels without any programming. The operating frequency is 434 MHz (non-ionizing) which is configured for RF transmitter and RF Receiver modules. A pair of encoder and decoder has also been used in this system in which the number of encoder pins should be matched with the same number of decoder pins. Amplitude Shift Keying (ASK) modulation technique is used for transmission. Keywords: ASK, Flight Attendant Communication, IC HT12E, IC HT12D, Nurse Call System. 2. M. I. Pasqual, “Composition of New Features into a Wireless Nurse Call System” M.S. thesis, Dept. of Telematics, Norwegian University of Science and Technology, Trondheim, 2010. 3. Zamanian and C. Hardiman, “Electromagnetic Radiation and Human Health: A Review of Sources and Effects,” High Frequency Electronics, pp. 16-26, 2005. 4. D. B. N. Nnadi et al., “Radio Frequency Based Water Level Monitor and Controller for Residential Applications,” in Nigerian Journal of Technology, Vol. 34 No. 3, pp. 573 – 581, July 2015. 7. J. J. Ely, “Electromagnetic Interference to Flight Navigation and Communication Systems: New Strategies in the Age of Wireless,” American Institute of Aeronautics and Astronautics, NASA Langley Research Center, Hampton, Virginia, 2005. 8. K. Avers et al., “Flight Attendant Fatigue: A Quantitative Review of Flight Attendant Comments,” Federal Aviation Administration., Office of Aerospace Medicine., Washington DC, Rep. DOT/FAA/AM-11/16, Final Report, October 2011. 9. L. J. Brown, “In-Flight Security Onboard Commercial Aircraft: Critical Improvements Needed,” in 27th Int. Congr. of the Aeronautical Sciences (ICAS), 2010. 10. L. J. Brown and J. Niehaus, “Pilot/flight attendant communication to improve aviation safety,” in Proc. of the Flight Safety Foundation, Corporate Aviation Safety Symposium. Orlando, Florida, 2009. 11. M. M. Dawoud, “High Frequency Radiation and Human Exposure,” in Int. Conf. on Non-Ionizing Radiation at UNITEN, 2003. 12. N. B. Biradar et al., “Touch screen based on Nurse/attendant calling system for physically impaired,” in Int. Journal of Application or Innovation in Engineering & Management, Vol. 5, Issue 4, pp. 205-210, April 2016. 13. N. K. Kaphungkui, “RF based Remote Control for Home Electrical Appliances,” in Int. Journal of Innovative Research in Electrical, Electronics, Instrumentation and Control Engineering, 2015. 14. S. Joseph et al., “RF Transceiver Based Traffic Alert System for Automobiles,” in Int. Journal of Advanced Research in Electrical, Electronics and Instrumentation Engineering., Vol. 3, Issue 2, 2014. 15. S. Mojdeh et al., “Especial nurse call system for ICU patient,” in J. Biomedical Science and Engineering, 2013. 16. S. Sarkar et al., “Integration of Touch Technology in Restaurants using Android,” in Int. Journal of Computer Science and Mobile Computing, Vol.3 Issue.2, pg. 721-728, February- 2014. 17. S. Sutavani et al., “Wireless Equipment Control,” in Int. Journal of Students Research in Technology & Management., Vol.1(2), pp. 109-114, 2013.